Excellent battery at a good price delivered next day. Does it get any better? Worked like a new battery should. Quick and accommodating courier. No apparent damage to battery but package was probably dropped sometime in the delivery process (polystyrene packaging showed signed of impact ). With the 4 year guarantee, it shouldn't be a concern. 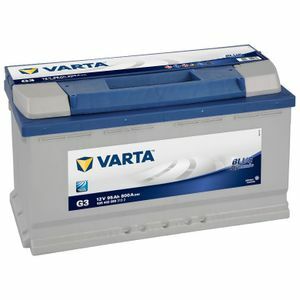 The Varta 95ah battery arrived well packed and fully charged. Started my Fiat Ducato 2.3 150bhp motorhome first turn of the key. The item was dispatched by Tayna on the next business day and should have been delivered the day after. Sadly, it took UK Mail/DHL another 2 days (3 in all) to get round to it after several complaints. DHL website was poor at updating. I would use Tayna again but only if they used a different carrier. No explanation was ever received from DHL for the delay in delivery (Black Friday, maybe?). Good for now as is just new. Well packed and good instructions. Fantastic! More than £30 cheaper than anywhere in town and delivered to my door. The old BMW one lasted 14 years, this one should see the old e53 out! Quality battery at attractive price. Knowledgeable staff, excellent service and quick delivery. What’s not to like!